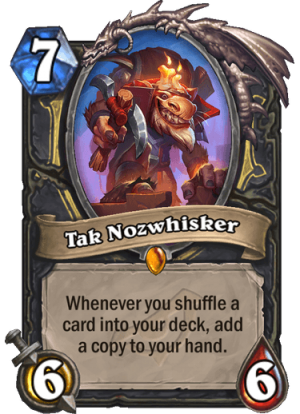 Tak Nozwhisker is a 7 Mana Cost Legendary Rogue Minion card from the Rise of Shadows set! Whenever you shuffle a card into your deck, add a copy to your hand. "One for me and one for future me!" Rating: 3.8/5. From 188 votes. Don’t like it. 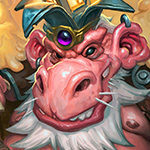 Even though there are actual cards out there such as Togwaggle’s Scheme, Having a 6/6 for 7 mana, and also us assuming that we also need to use Elekk, is wehre we going to relate from the most. 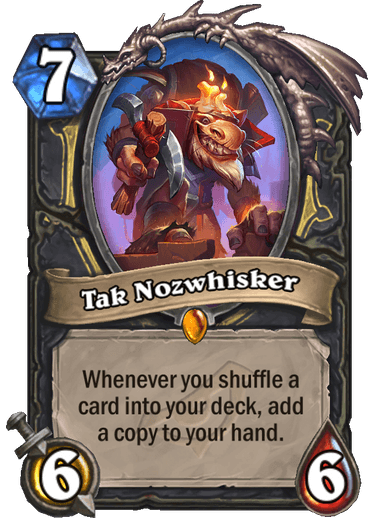 You would need to wait for at least 2-3 turns with Toggwaggle’s Scheme before Tak Nozwhisker can become a fairly useful card. It’s not that the Card is bad, but the Card is enforcing you to play Control Rouge that feels too slow for my tastes. This is more a card you’d play with pogo or prep into an espionage to refill you hand in an aggressive deck that got stalled into late game. Some control decks have managed to do that there’s also if get stuck aggro trading. I’d put more money on a hand loading card than anything else. Sometimes you get unlucky with draw order and don’t pull your cards that have draw or tutor powers. I agree. Although id love to see a control based rogue i just dont think rogue has the necessary cards yet again. Rogue keeps getting crazy value cards and a single target removal but that is it. In order to play the control game you actually need to get value from boardclears and heals/armor. Rogue has neither of those. wellcome to value town. Tess rogue tier one again. I guess people were not satisfied that their super expensive decks were OP. Lets give them more value hopyfully thing get right :D. Like the 2 mana 3/4 rush and 0 mana shadowbolts were little. 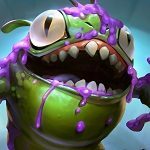 Craped with 3 mana discoveries. The spectral cutlass is still in the card pool. Tess rogue has it all kingsbane like effect rush minions 1 mana random cards. I am not shure if anyone can outvalue it. it is the best control oriented deck. Its big problem like before is that fundamentally it is a control deck. And it can fail againts both aggro and instant lose to OTK. Addin tech cards require you to draw then in the right moment and that is still not that great with a deck with 40+ cards. But i am shure that with mechathun priest ,druid and lock gone the only other OTK class is mindblast priest and Innerfire divine priest. And they both are viable and will stay viable for this and probably the next year. Sine all the support cards for them are in this expansion. 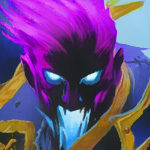 Profet mind blast deck were staple for priest fro mthe down of time. Big value card. Fun archetype. Staple troughout last and probably this year. Will probably see play when tess rotates but most people will be used to the instant value from tess and without espionage you may not want to play this next year. But you still got your deck. Espioonage is the card that makes it shine. 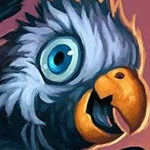 Without espionage it will be harder to make this work but there are cards that support it. And i do not see rogues getting another kind of card like it. Good ending for the tess decks and a fair farewell to them next year i presume. Fun but if they stick more they will become cancer like the big priest. this card makes any other minion or card that generates value on your board an immediate threat. Pogo hoppers get refilled with scheme, espionage lets you draw until your hand is full, lab recruiter lets you draw 3 cards of your choice for free, etc. 4/5 if value decks are the meta. Is this an April’s fools day joke card? Is this an in-season april fool’s joke? One Rogue value card after another. No defensive tools whatsoever. 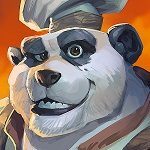 So… we’ll either get a control meta, Rogue takes a seat on the bench for a while or the class once again uses it’s Classic and Basic card pool to stay competitive. Oooh turn 9 drop this prep espionage be nice play anyone thinking turn 8 get ready to burn a card. Also works well with togwaggle scheme but I think that’s more a turn 10 play with pogo. Overall it’s a very good late game value generating card I’d guess at this with pirate theif rogue as a tactic for if can’t close game out early. This card is insane with many possible outcomes for both Pogo and Thief. Just insane. This seems like such a funny card for a Kingsbane deck in Wild. Every time you shuffle Kingsbane back into your deck, you get a copy of it. Not sure if you get a copy with all the enchantments, but that would it so much better. In standard, this can be quite cool. If you’d have a hand with only 1 Academic Espionage, which wouldn’t be often (I imagine), you put 10 cards into your deck and have copies of them in your hand, getting instant value out of it. Although that wouldn’t really work with Augmented Elekk. since you can’t have 20 cards in your hand. Still quite funny. Back to Wild, Kingsbane + Augmented Elekk + Taz Nozwhisker shuffles 2 Kingsbane in your deck and add 2 Kingsbane to your hand. Quite funny. I don’t think the Kingsbane copies in hand kerp the enchantments, since its part of the Deathrattle effect. 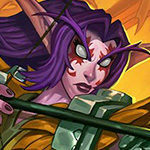 How does this work with Fal’dorei Strider? I would assume it gives you a card with “Cast when drawn” keyword that you still have to play. Once you play it, it summons 4/4 and draws a card. At least that’s the interaction I observed when I got shadow visions in a game against priest and decided to test the interaction. 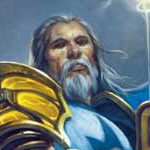 Fal’dorei strider puts three cast when drawn cards into your deck. Tak Nozwhisker puts a copy into your hand whenever you shuffle A card. So yes, if you play these two cards together then you would get three spiders into your deck and three spiders in your hand. looks cool. prep espionage turn 8. not bad. This, prep + espionage is quite an insane turn. 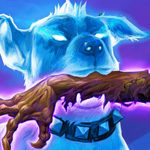 However the problem is that against aggresive decks your primary objective is to stay alive and against control decks, espionage is usually already more than enough value to win you the game. Another potential use for this card is with toggwaggle’s scheme and lab recruiter. Maybe pogo hopper or some hooktusk shenenigans? I mean Value Oriented Rogue decks work in a Control Meta. 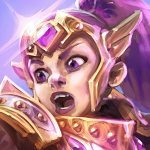 But it has not enough Survivaltools to stay alive in a aggressive meta that we probaly will have like it was in the last Standart Rotation. But cool Card aynway.